On the morning of May 14, 1942, 12 of the 17 soldiers on a pontoon boat crossing Charlie Lake, just north of Fort St. John, drowned after the boat sank. In 2008, a monument to commemorate the tragedy was built on the shore of the south end of Charlie Lake, in Ross McLean Rotary Park. 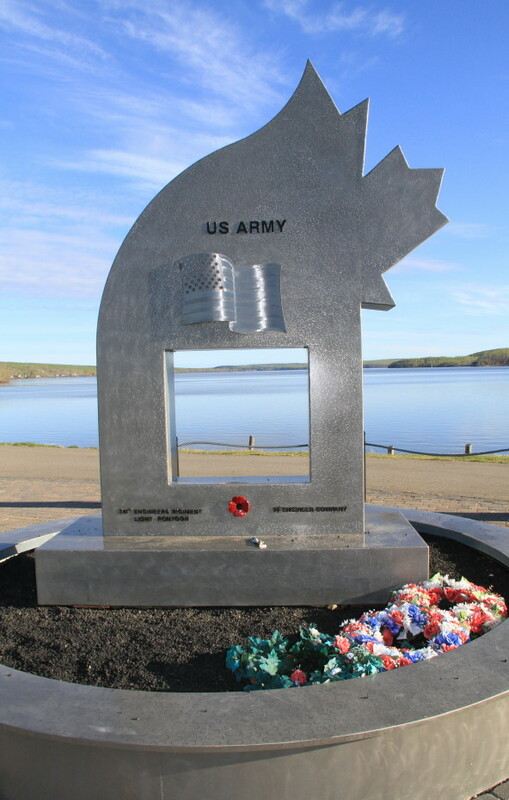 The stainless steel monument stands 12 feet high, in a 12-foot circle surrounded by 12 posts, one for each of the soldiers who lost their lives.